A feather hanging from an ankle bracelet is a popular feather tattoo for girls, although the exact design is typically unique to the wearer. 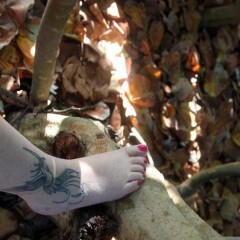 This girl’s feather tattoo is inked in black and white and features a thin band inked around her ankle, with a feather attached that extends onto the top of her left foot. 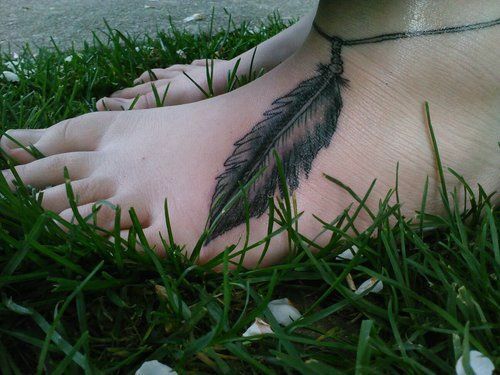 The feather in the foot tattoo is pretty intricately designed, which makes the feather tattoo look more interesting and life-like. 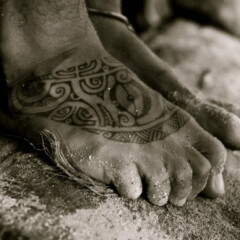 While some people choose to have a feather tattoo inked on their foot just because they like the way it looks, there is actually a unique meaning that applies to some foot feather tattoos. 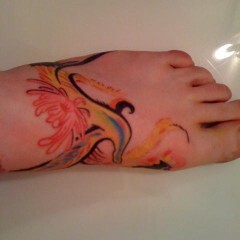 Some feather tattoos for girls that are inked on the foot represent the desire to always set foot on the path that promises joy and freedom.